This show will be LIVE. Brother Yuya will be responding to questions about the upcoming ANU Spiritual Training Phase 1 Course and will also be responding on-air to emails hes recently received. Here HRU Yuya Assaan-ANU covers the importance of directed spiritual intention. 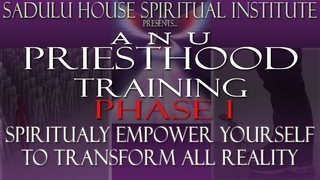 To learn more about the first phase of the ANU spiritual training, go to the "Spiritual Training" Page.